Now available on the Play Store as an Apex Launcher Theme! 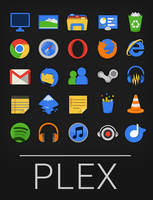 This is an extension of my Plex icon set for Android. Feel free to request any other applications I didn't include. If you would like the corresponding weather skin for Beautiful Widgets, go here. If you could make a donation of any size, it would really help. This set is available for personal desktop/ mobile use only. If you would like to use it for any other reason, you should contact me directly at fourthtriumvir@gmail.com. Edit (5/6/2013): Added icons for Reddit Sync, Instagram, Viber, Quickpic, Kobo, and Falcon Pro. Edit (5/8/2013): Updated icons for Navigation and Wallet. Added icons for Dolphin Browser, Translate, voice recorder, SpeedTest, terminal, iHeartRadio, Rhapsody, barcode scanner, office, photo editor, and Ebay. Edit (5/9/2013): Added icons for Keep, Path, manga, Angry Birds, Angry Birds Space, Temple Run, Temple Run 2, Words with Friends, World of Goo, Flow Free, and Draw Something. Edit (5/10/2013): Added icons for Springpad, WSJ, Coin Flip, and Out of Milk. Edit (5/13/2013): Added icons for Spotify, Minecraft, Mail.ru, TuneIn, 7x7, RealRacing, Nova Launcher, and Rom Manager. Edit (5/19/2013): Added icon for Hangouts. Edit (5/21/2013): Updated icon for phone. Added icon for Robot Unicorn Attack. Edit (5/23/2013): Added icons for Play Magazines and train timetable. Updated icons for Instagram, phone, Play Books, and Play Store. 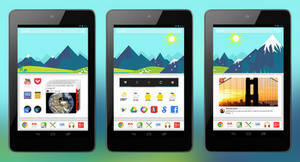 Edit (6/7/2013): Now looking for beta testers for Apex Launcher Theme. Read the top of the description for details. Edit (8/12/2013): Added icons for Kik, Flipboard, Wordpress, and Rdio. Just noticed that the text for the Hangouts icon doesn't align with others, its a but higher (for me anyways). I can e-mail you a screenshot. The text below the icon, you mean? I don't think I should have any control over that, but feel free to send me a screenshot and I'll check it out. eh never mind about this, its all good. very nice, Apex Launcher theme will make it nice and easy to apply in one tap. I think the future will be popular this style! 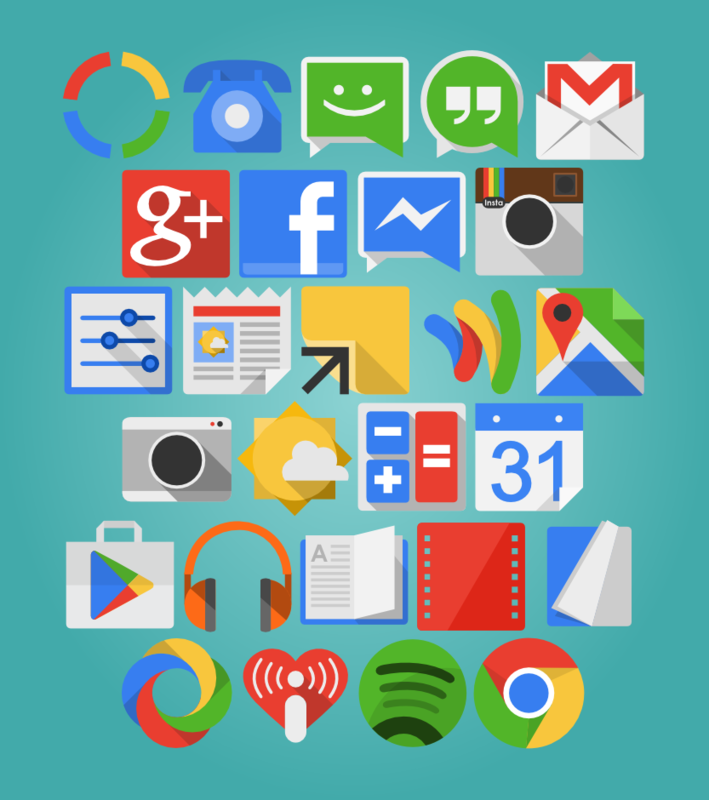 "These are the nicest icons I've seen for Android. " Thanks. I originally made .ico's for this set, but I couldn't figure out how to use an .ico on mobile devices so I assumed you could only use .png's. It was about a year ago though, and I wasn't super familiar with everything so maybe I was just confused. But the .png's seem to have worked fine so far since they aren't being scaled as dramatically as they would be on a desktop. I just updated this set with it. Let me know if you'd like it for the desktop set as well. Sure. I saw your post on my desktop set as well. Did you mean for me to make both a desktop and a mobile version, or just the mobile one? Awesome! Please add at least the recently released Google Hangouts! Sure thing, I just added it. Do you can add icons for Mail.ru Agent, TuneIn, 7x7, RealRacing, Nova Launcher, Play Store, Rom manager. Sure thing, just added them all except for Play Store since I already had that one. Just added all three icons. Thanks! And yeah, I'm actually working on making it a pack for Apex launcher pretty soon. I'm just beefing it up right now with a few more icons before I can put it up. Could you add Quickpic and Kobo? How can you forget Viber Very nice icon set! Sorry for the delay, just added Viber. Thanks, I just updated it with the three you requested. Love this set. Could you maybe make icons for Tumblr, Mimi, and/ or lose it? Thanks! Mind if I use this for a project? Yeah, that's no problem at all. Just be sure to link back to my page. 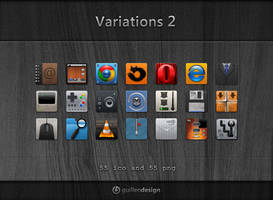 This is an awesome icon set man! I love it. It's colorful, simple and very Google-y Thank you for sharing your wonderful work! Have you thought about expanding it and putting it up in the Play Store for 0.99 (it's far easier for me to go and buy the icon pack than to donate since I don't have a paypal account). For me to buy it thought you need a whole lot of more icons You're on your way though! Yeah, I had thought of putting it on the Play Store, but I haven't been able to figure out how to do that yet. Do you happen to have any resources to help me get started? 72x72 is appropriate for hdpi (240dpi) screens and 96x96 is appropriate for xhdpi (320dpi) screens, which more of the newer phones are with their huge screens. Awesome icon set!! I loved the original Plex, and I hope that you continue you to add to this.